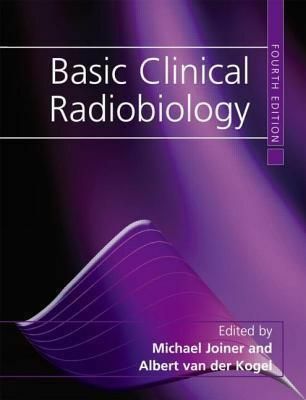 This concise but comprehensive textbook sets out the essentials of the science and clinical application of radiobiology for those seeking accreditation in radiation oncology, clinical radiation physics and radiation technology. Fully revised and updated to keep abreast of current developments in radiation biology and radiation oncology, the fourth edition continues to present in an interesting way the biological basis of radiation therapy, discussing the basic principles and significant developments that underlie the latest attempts to improve the radiotherapeutic management of cancer. New topics for the fourth edition include chapters on the mechanisms of cell death, biological response modifiers, and biological image guided radiotherapy, with major revisions to sections on the molecular basis of the radiation response, tumour hypoxia and the dose-rate effect. A variety of new authors have contributed to this revision, who, together with the new Editorial team, have used their significant international teaching experience to ensure the content remains clear and comprehensive, and as valuable to the trainee as it is to the established radiation oncologist. With the fourth edition we will see the most radical change so far - as Professor Gordon Steel has retired as Editor and has been replaced by Bert van der Kogel, the current current course director for the above-mentioned course, plus Michael Joiner, who is the head of the Radiation Biology Program at the Wayne State University and is the Associate Editor of the International Journal of Radiation Biology.